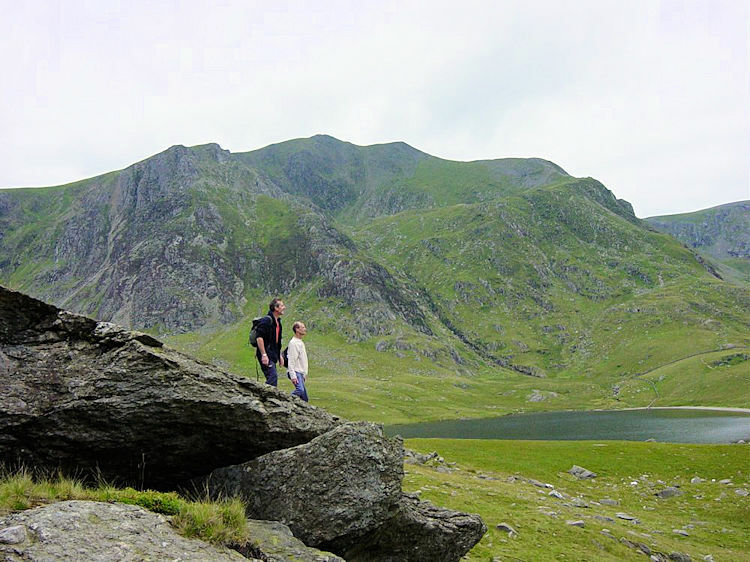 Summary: Tryfan was an inspired choice for our first walk in Snowdonia. 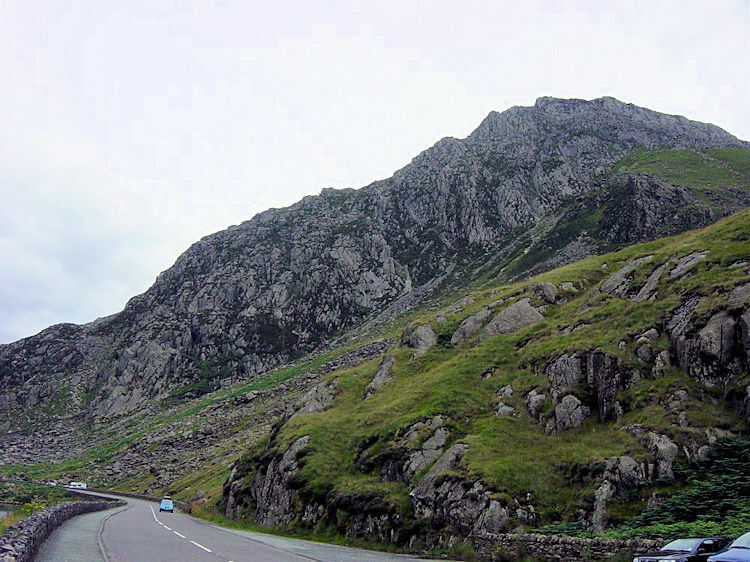 The mountain is one of the most popular in Snowdonia because of its unusual shape. It is likened to the upper body of a shark with 3 fins running along its top. 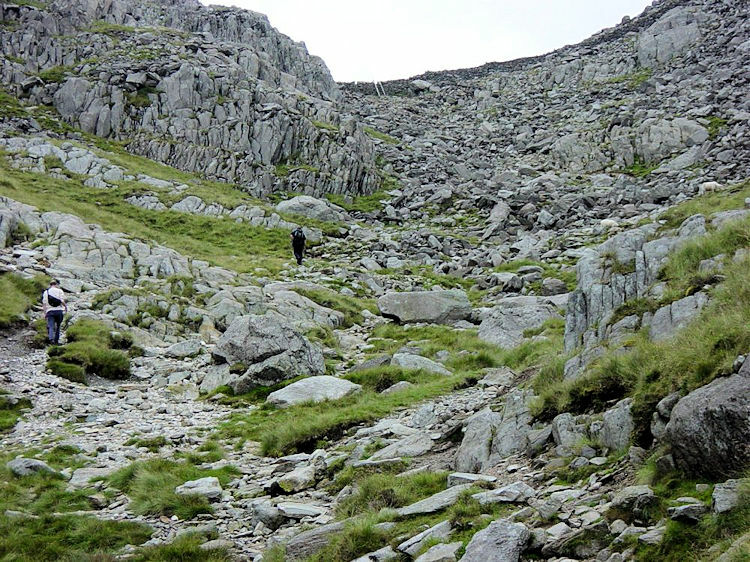 On the summit you will find the famous Adam and Eve, two boulders about 4 feet apart with a big drop between them, an easy leap it appears but Steve and Dave declined. I did not even get there but more about that later. 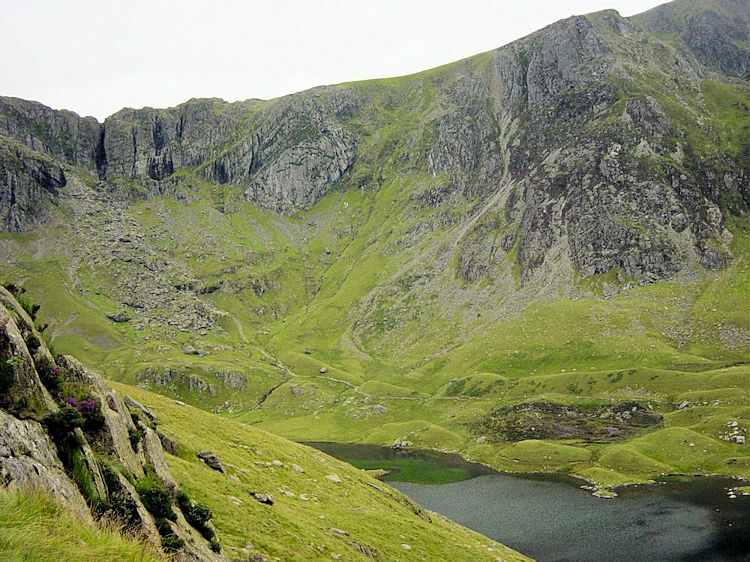 We began our walk from the large car parking area near Llyn Ogwen. From there we planned to walk to Llyn Bochlwyd so left the car park and crossed a stile with the plan of walking to the Bochlwyd Buttress. The boys did suggest we were lost straight away but I tried to reassure them that my map reading skills had improved (I had taken students orienteering in the Yorkshire Dales earlier that summer and not got them lost!) so they allowed me to lead them up the fell path. 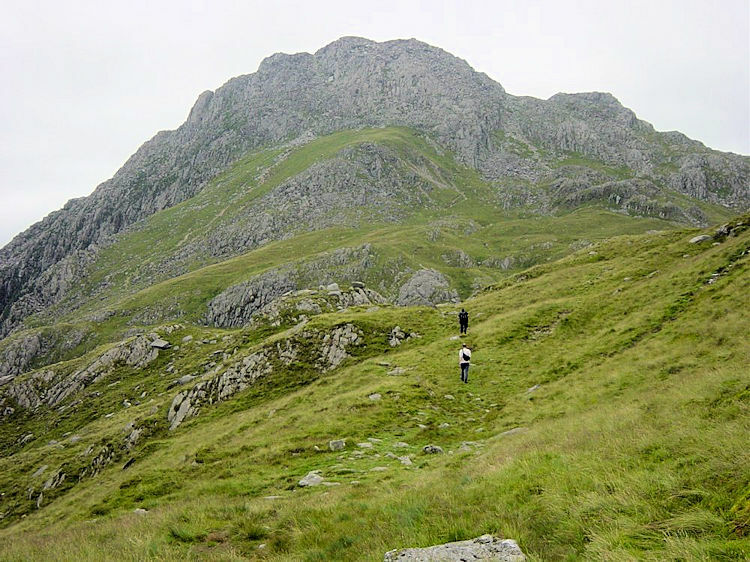 We took a pause at a suitable spot on Gribin Facet (see first picture) but then realised the shape of the tarn we were looking at was not as it should be. It was not Bochlwyd. It was Llyn Idwal a larger tarn over half a mile to the west! What is more we had to climb over a ridge to reach our original spot. The boys were not pleased. Things happen in strange places but straight away, well it's best to get it done quickly I say. 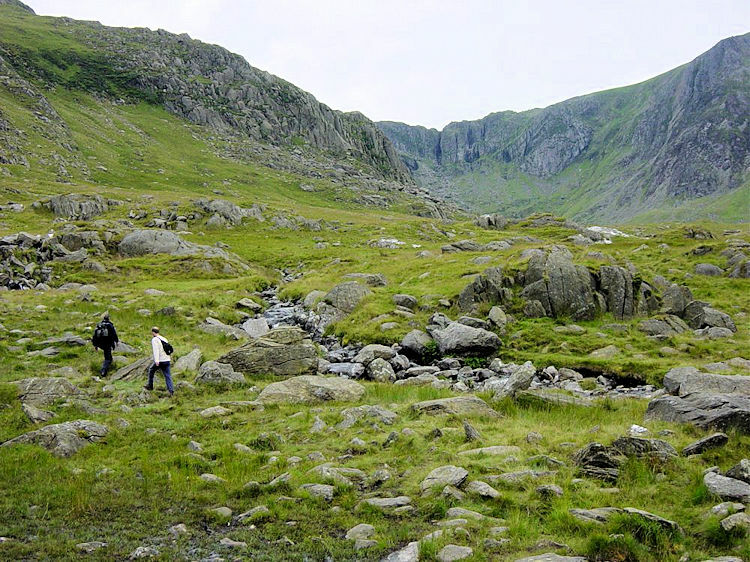 And they were to commit a bigger map reading calamity the next day on the Beddgelert walk. Anyway, we got back on track by climbing over a ridge (point B on the map) to cross over to Llyn Bochlwyd. 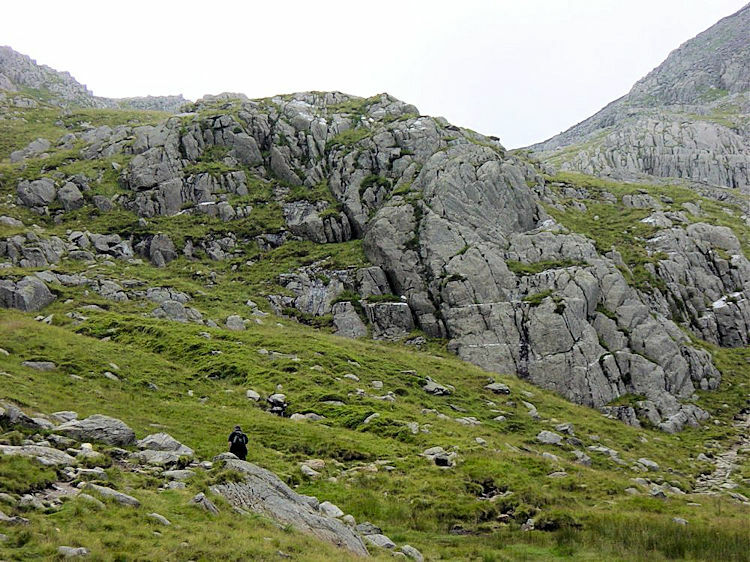 After pausing for a bite to eat at Bochlwyd we headed straight up to the south-west tip of Tryfan. After a stiff but short climb we reached a wall near the south peak (point C). Dave and Steve chose to climb up to the peak and walk along it (red markings on the map) but I had decided to walk the Heather Terrace on the eastern flank. They went to their fun and a meeting with Adam and Eve and I had mine on the terrace. The terrace was easy to follow for the first hundred yards but then the track started to fragment...darn choices to make. Some of the choices were easy because you could see the path in the distance but some were blind alleys. Needless to say I made some mistakes and either had to backtrack, not an option, scramble up which I did occasionally, or slide down on my backside getting a wet backside for my endeavours. I got a very wet bum and the situations I found myself in were often hairy if never really scary. Never did I feel in any danger. If so I would have turned tail. Eventually I started to see groups of people about 100 feet below who were walking from the camp site at Gwern Gof Llchaf. Some of them were practicing their rock climbing technique on the obelisk that is Tryfan Bach, a towering piece of rock just above the camp site. Once I saw the camp site I was ok. 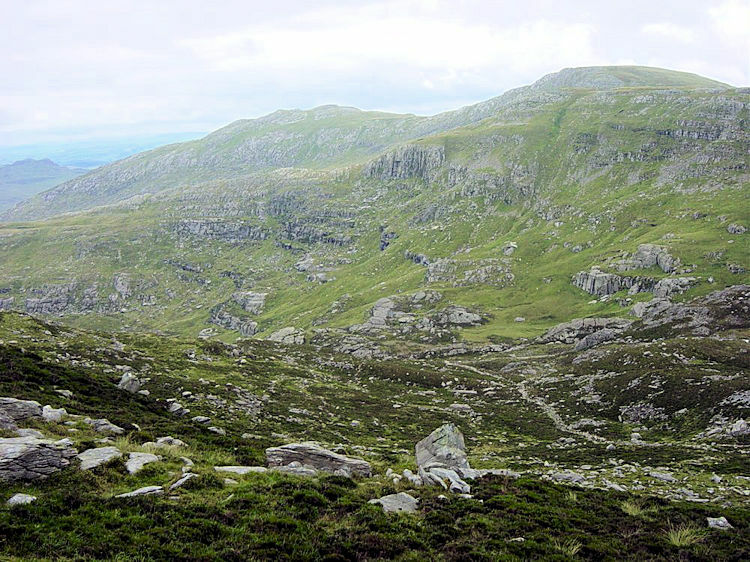 I scrambled up Creigiau Dena and took time out as I was tired and I had rocky climb down to come. 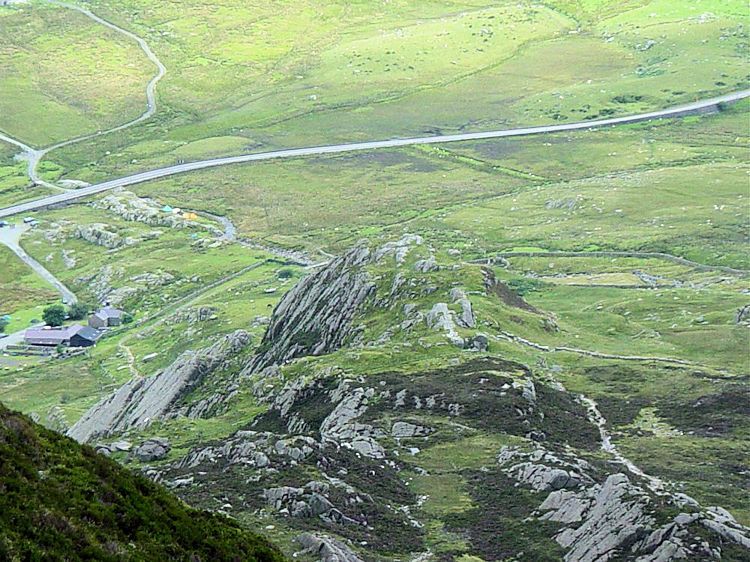 As I rested directly above Tryfan Bach (at point D on the map) I watched two RAF jets passing through the valley at low level. They were about level to me and I could see the pilots clearly. They passed three or four times. It was an awesome sight. 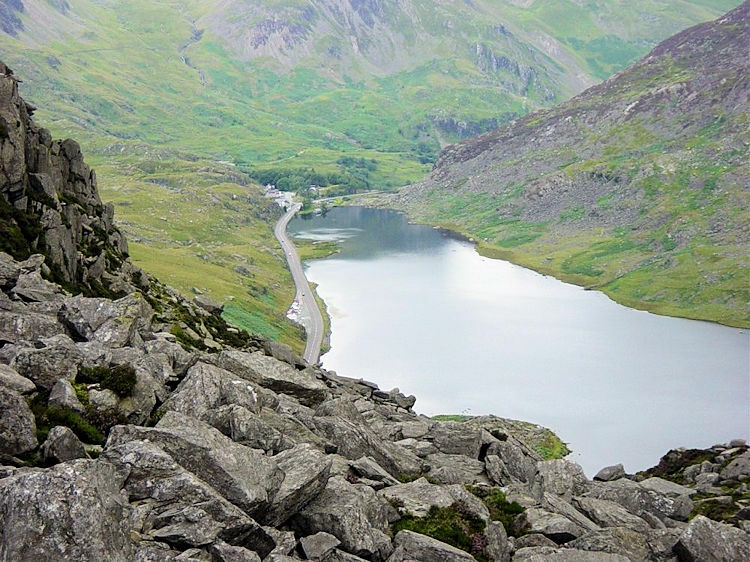 After a break of 15 minutes watching the jets pass I scrambled down the Milestone Buttress and walked along the side of Llyn Ogwen back to the car. What a fantastic walk. I waited an hour before the boys arrived. They told me about their fun on the ridge and the meeting with Adam and Eve. We all had a fantastic first day in Snowdonia. I'll certainly cherish this walk and if the walks and scenery in Snowdonia are as good as today then the journey from Leeds was well worth it.